Located between Morges and Yverdon-les-Bains, La Sarraz is known for its castle and swimming pool and the Restaurant de la Piscine. 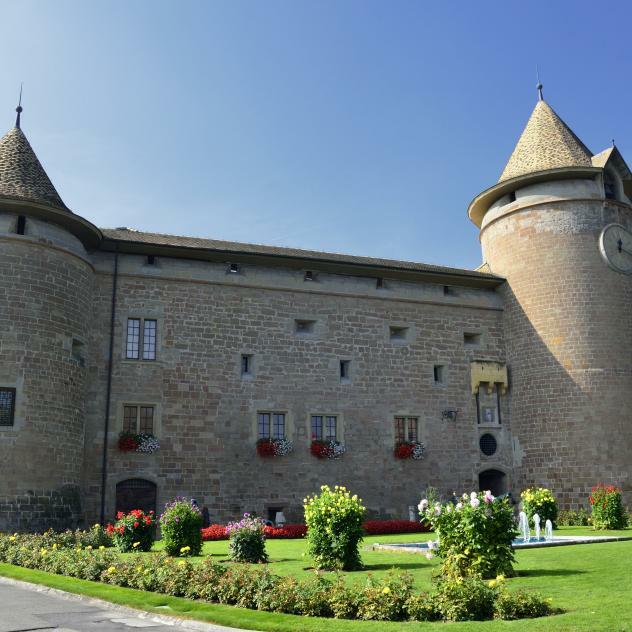 The beautiful terrace or the glassed-in dining room offer guests a view of the historic fortress while enjoying terroir dishes and Vaudois wines. The restaurant’s welcome is so cordial that you’d almost forget to have a swim in the lovely swimming pool of La Sarraz. The glassed-in dining room and the terrace offer a superb view of the nearby castle and the Alps in the distance. Seeing the menu card is just as enjoyable. There are many specialties based on local products such as bisque with crayfish from Lake Geneva, grilled meats, hamburgers as well as several types of beef and fish tartars. The focus is on regional producers, be they butchers, fishermen, organic farmers or Vaudois vintners whose wines from the six AOC appellations are included in the wine card. Theme days punctuate the restaurant’s nine-month opening season, especially towards the end of the year with the “Vaudoiseries” and meat dishes accompanied by Vaudois wines as well as the traditional game period, much to the delight of venison fans.